swench: "John Carter of Mars" by Pixar? "John Carter of Mars" by Pixar? Is Pixar going into VFX work? 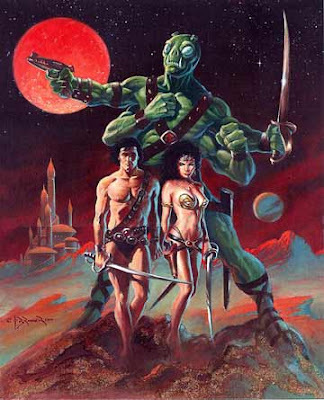 Screenwriter and first-time director Mark Fergus (First Snow) came this close to convincing Paramount to move forward with an adaptation of the Edgar Rice Burroughs novel John Carter of Mars. But he’s still stoked at the prospect of Pixar picking up the slack, either by way of animation or special effects enhanced live action.